Mitochondria are the cell's power producers. Located in the cytoplasm, they are the tiny powerhouses that generate fuel for the cell's activities. These structures convert energy into forms that are usable by the cell. 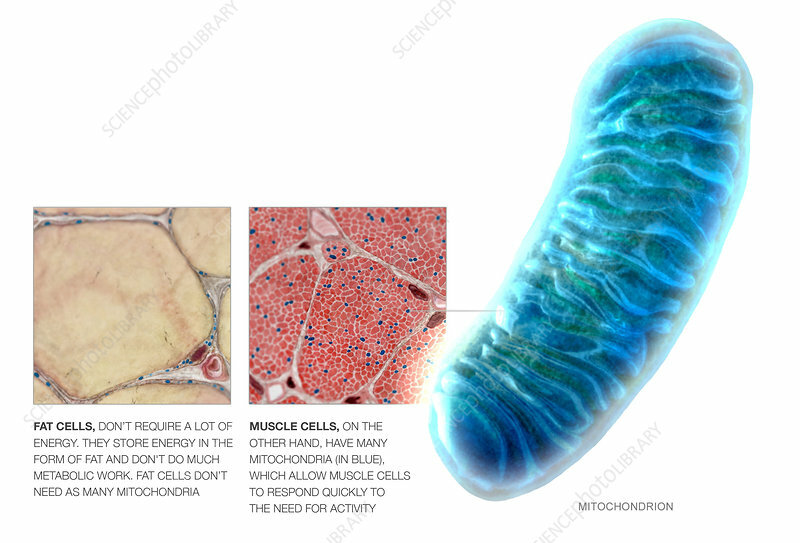 Mitochondria are also involved in other cell processes such as cell division and growth, as well as cell death. Most eukaryotic cells have mitochondria, however different types of cells hold different concentrations of mitochondria depending on how much energy each cell type needs. Fat cells require less energy thus have less mitochondria, whereas muscle cells have more mitochondria to compensate for a much more prevalent use of energy.